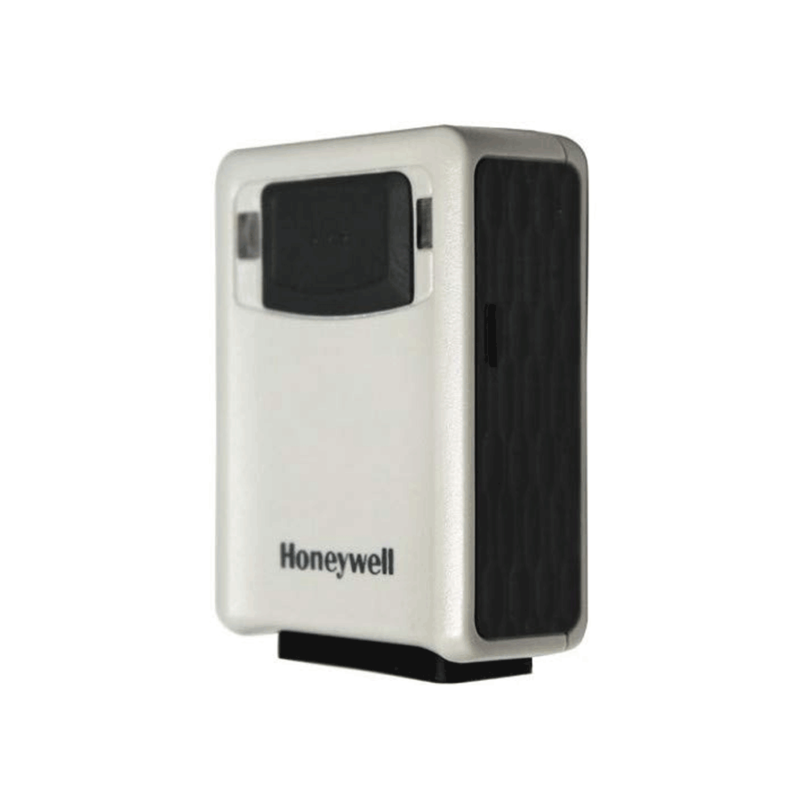 The Honeywell Vuquest™ 3320g compact area-imaging scanner offers aggressive scanning of all 1D, PDF and 2D barcodes in a lightweight, durable and portable form factor. The scanner’s sleek and elegant design also blends seamlessly in retail environments. Powered by Adaptus™ Imaging Technology 6.0, the Vuquest 3320g scanner delivers superior barcode scanning and digital image capture. Aggressive reading of barcodes on highly reflective surfaces, such as mobile phone screens, eliminates the need to purchase additional specialty hardware. The intelligent multi-interface design supports all popular interfaces in one device, replacing the time-consuming process of scanning programming barcodes with automatic interface detection. TotalFreedom enables the loading and linking of multiple applications directly onto the scanner, eliminating the need for host system modifications while offering expanded decoding and data formatting functionality. A flexible licensing solution allows current scanning needs to be met while protecting the option to upgrade scanning capabilities in the future by simply purchasing a license for the appropriate feature. Decode Capability: Reads standard 1D, PDF, 2D, Postal and OCR symbologies.